Divine Unicorn has a start in the Caulfield Cup in his sights after winning at the Sunshine Coast. Lightly raced Divine Unicorn took the first step towards an ambitious plan to win the Caulfield Cup en route to a possible Hong Kong career with his win at the Sunshine Coast. Divine Unicorn ($4.80) made it five wins in nine starts when he wore down the favourite Bergerac ($2.60) to win by a short neck in the Maroochy Surf Club Handicap (1400m). Divine Unicorn heads to Melbourne next week where he will run at Moonee Valley in the Dato Tan Chin Nam Stakes (1600m) in a fortnight. Trainer Matt Dunn admitted his plans for Divine Unicorn were high but said he had great faith in the horse. “He had 59 kilos today and he was first up but he showed his class,” Dunn said. “He won the Tattersall’s Cup at Group Three at only his eighth start so we have always set the bar high for him. “But you have to aim high when you have such a lovely horse. Hong Kong has always been the main aim but it isn’t set in stone. Trainer Steve Tregea was far from disappointed with Bergerac who will back up in a 1600m race at next week. 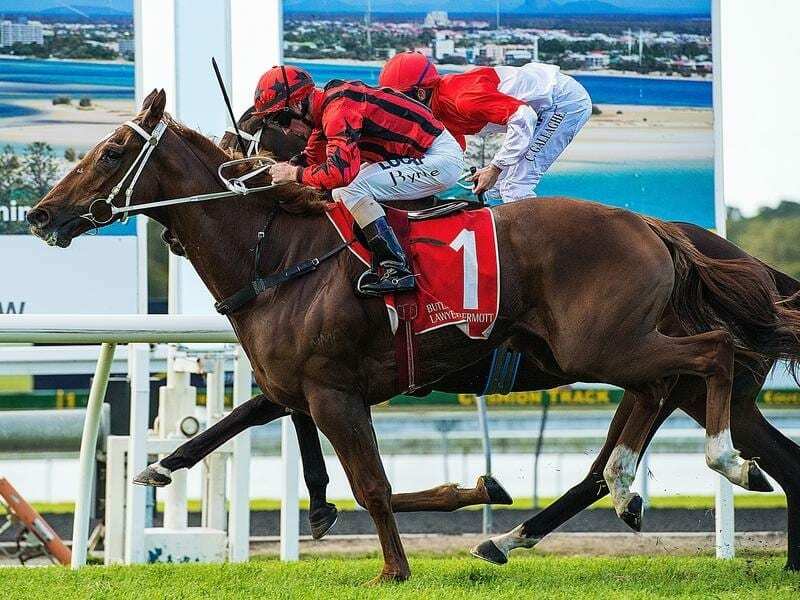 Meanwhile, Tumultuous ($11) will be set for another tilt at the Magic Millions carnival after winning the Cricks Sunshine Coast Handicap (2200m). The Chris Waller-trained Tumultuous won the Magic Millions Cup (2200m) in January. Waller’s Queensland manager Paul Shailer said Tumultuous had been a bit of a trial for the stable in the past few months. “Let us put it this way, when he loomed up to the 200 metres I wasn’t all that confident he would go on to win and to be fair how could I be,” Shailer said. “But he was one of the few horses all day who have come from last to win.